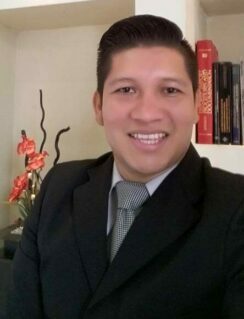 Valentin Lopez-Torres is an Attorney who graduated from the School of Law at Universidad Sierra Madre en Zacatecaz, Zac, México. His practice areas focus on immigration law, corporate, and cross border issues between Mexico and the United States. He represents Grupo Legal Cordova in San Luis Potosi, Mexico helping international companies and individuals investing in Mexico with immigration matters, such as temporary and permanent visitors, professionals, businesses and investment visas. He also provides legal representation and advice to companies regarding legal and administrative needs during their incorporation and registration process in Mexico. On their behalf, he obtains the proper required authorizations, licenses, notices and registrations from the corresponding authorities. He worked at the First Judicial Court in Rioverde, S.L.P. His duties involved reviewing, drafting and analyzing court rulings and final decisions on civil, corporate, family and criminal.